Ocean swimming is amazing, however, it’s not for everyone. Even though it’s a beautiful, deep, blue paradise, it comes with countless potential threats. Our list of 17 photos shows some of the potential dangers of ocean swimming. 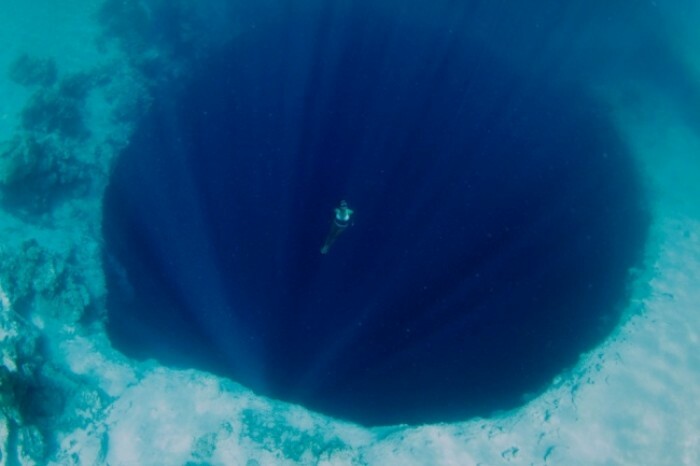 Would you dive into this abyss? I wouldn’t This looks super deep and like it’s just come out of a nightmare. Thanks, I’ll pass.